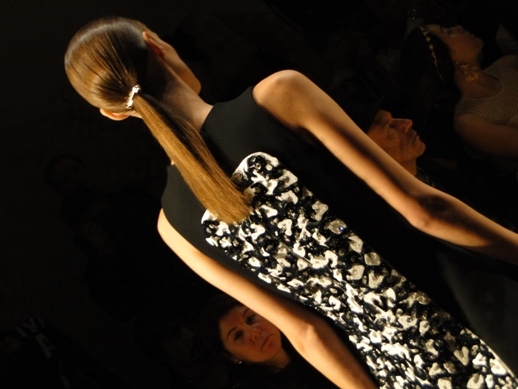 Once again I was lucky enough to receive some invitations to Paris Fashion Week this past month. I am always so excited this time of year when I go to my mailbox and find invitations to some of the most exclusive shows in Paris. I love being one of the first to get a glimpse of the most beautiful clothes in the world. 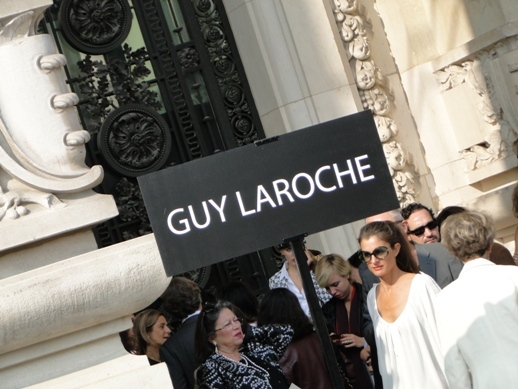 Guy Laroche at the Grands Palais was my first show that I attended this season. This is always one of my favorite shows, and I know it will always be feminine and well designed. 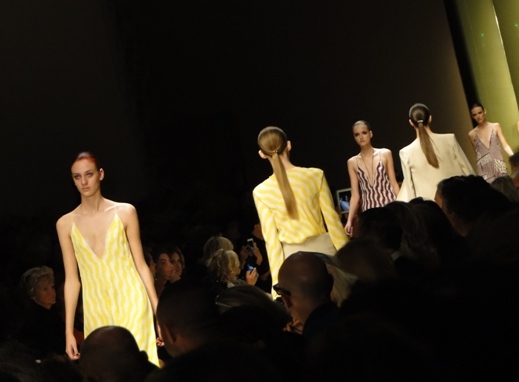 This year, Guy Laroche showed beautiful dresses with delicate lace like cutouts and tailored pantsuits with added suspenders. 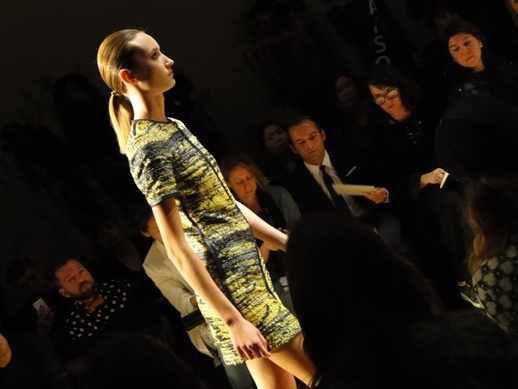 Yellow and black woven fabrics were used to create beautiful dresses and skirts that were easily wearable. 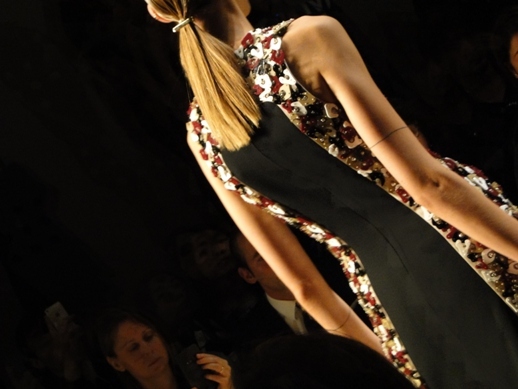 Of course, my favorite part of the collection was the embroidery that covered a few of the pieces. Large puzzle like pieces were stitched onto the fabric and secured in place with small beads to create an industrial feeling on the garments. 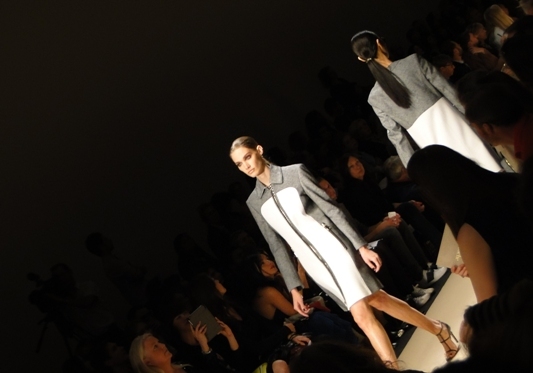 This show was a great start to this season’s collections. I am so fortunate to be able to attend shows at Paris Fashion Week and get so much inspiration for my jewelry and embroidery with every collection I see. 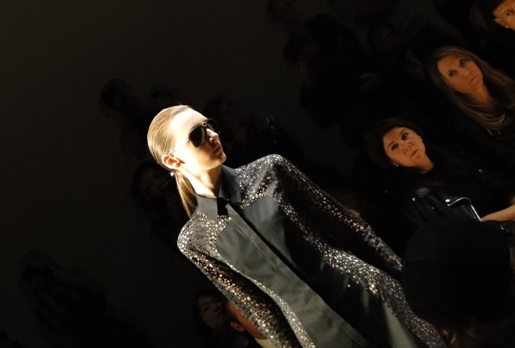 Be sure to check back often to see the other shows I attended at Paris Fashion Week!